Quick dinners just got even easier. Do you find yourself having one of those days where dinner is the last thing you want to think about? I assume the main reason for this would be that you just don’t want to deal with it, right? The idea of having to spend time standing in the kitchen trying to put a recipe together and then cleaning dishes just puts you off. It’s on nights like this that a foil bake dinner can rescue your evening meal time! The key to foil pack dinners is that everything cooks together tightly enclosed in flavorful juices. Start your prep by laying down a large piece of foil. Make sure it is big enough that it can wrap over everything. 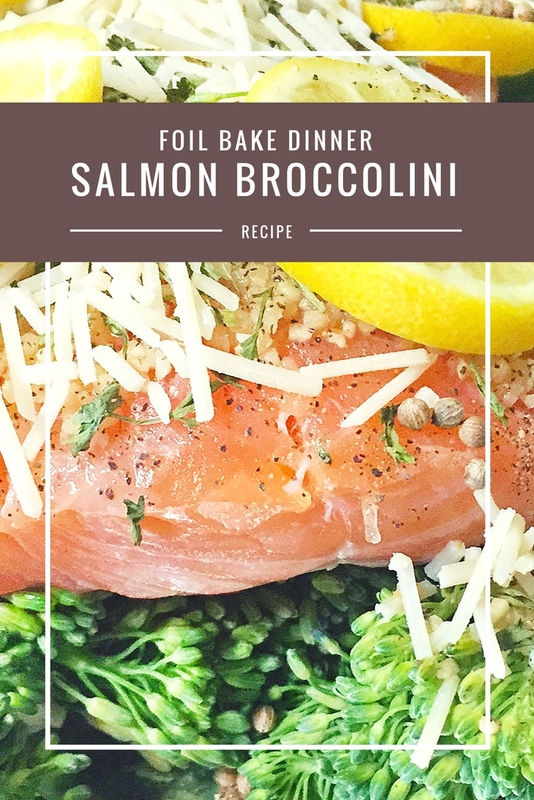 For this recipe first put the bed of washed broccolini on so the salmon can be placed over it. 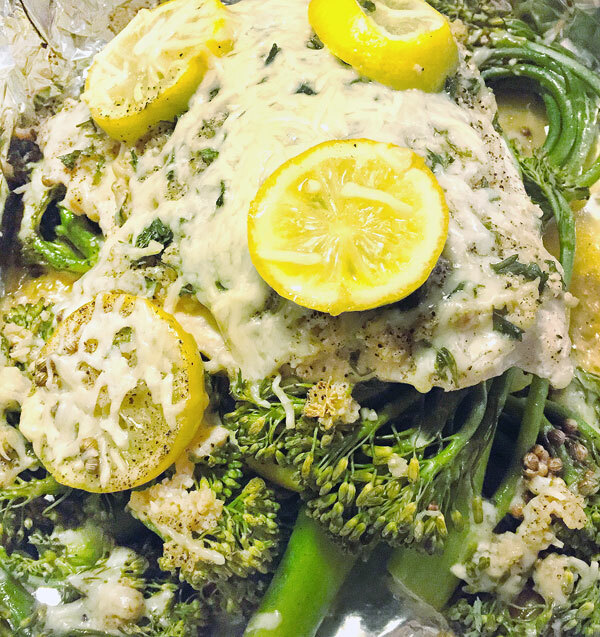 Thinly slice half of the lemon along with the butter and layer it on top of the broccolini and then the filet. Squeeze juice from the other half all over the salmon. Spread minced garlic and sprinkle parmesan over the filet, adding the seasonings to finish off. Fold in the sides of the foil so the contents are sealed tight. This way all the juices are held in! 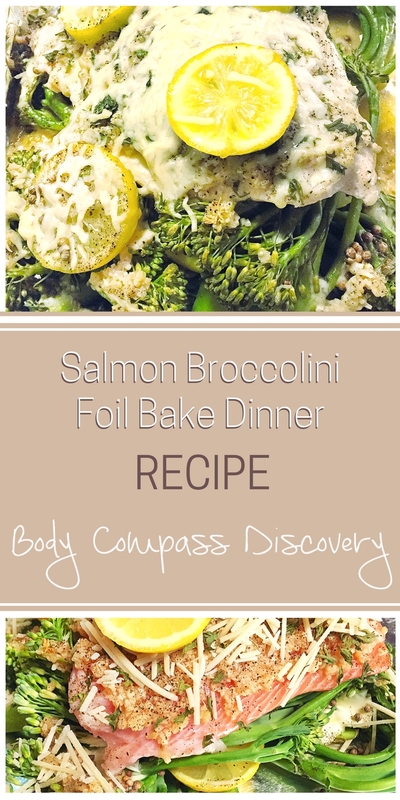 Looking for an #easyrecipe that’s #healthy? 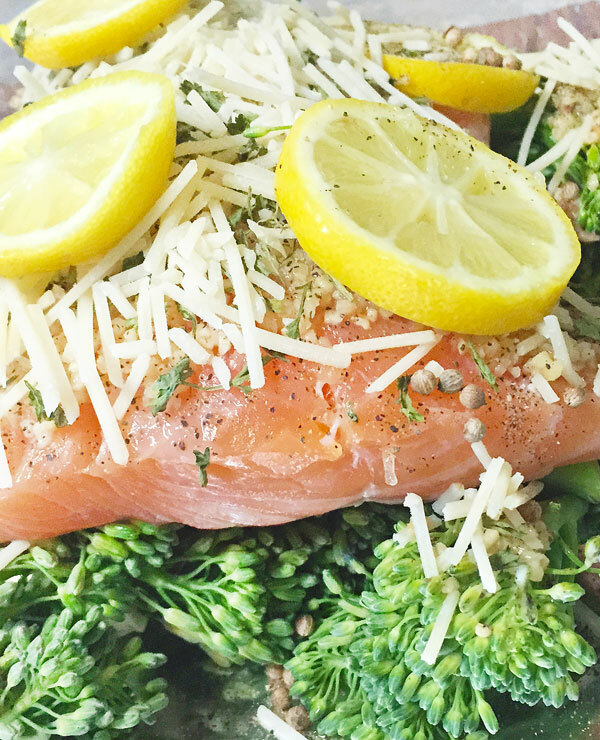 This #tinfoildinner is perfect for a busy night! Bake at 375 for about 15-20 minutes, depending on the thickness of the fish. Serve hot so you can enjoy the melty, tender goodness! 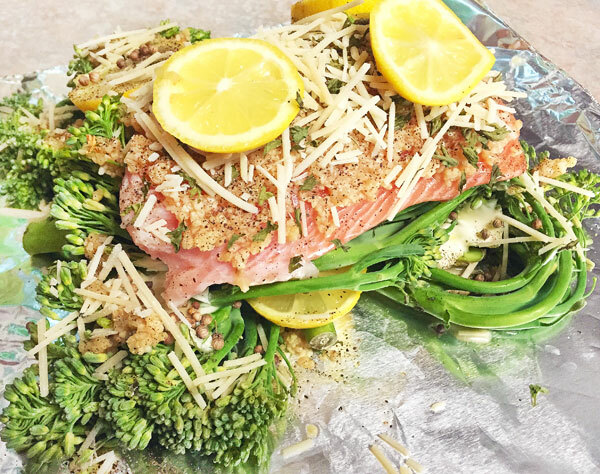 Foil packet dinner with lemon butter broccolini and coriander spiced parmesan herbed salmon. Lay down a large piece of foil. First put the bed of washed broccolini on so the salmon can be placed over it. Fold in the sides of the foil so the contents are sealed. Bake at 375 for about 15-20 minutes, depending on the thickness of the fish. Serve hot! This 30 minute meal is perfect for busy weeknights! 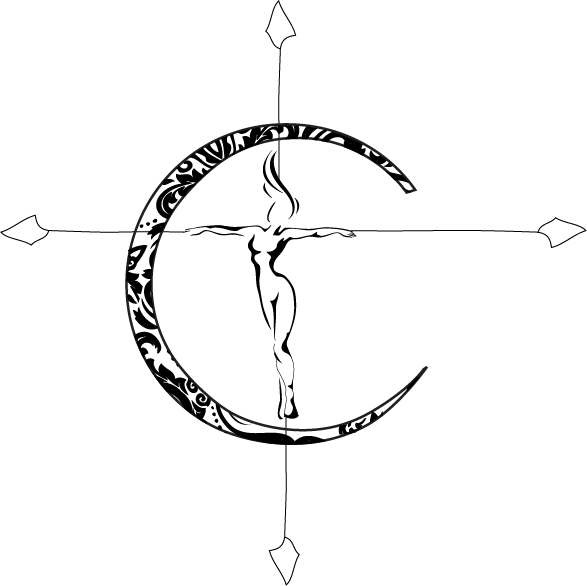 Not to mention the clean-up…. literally, nothing to mention because you just toss the foil when you are done! There’s no chopping involved if you buy my favorite little kitchen gadget. It really doesn’t get any easier than this! Another reason I love these type of recipes is because they are great for portioned meals to make sure you are don’t overeat. You could even prep this and bring it to a grill out! Yes! I also feel it holds in flavor better when done like this. Okay, this looks amazing! 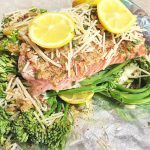 I’ve been meaning to try a new salmon recipe so I’m definitely trying this out! This sounds absolutely delicious! I’ve never had salmon with cheese before! Pinned so I can prepare it later! Thank you!